To learn about Club Amps is to learn about me; Don Anderson, though I'm sure you'd rather learn about the products first. I don't mean to bore you with talk about me, but if you're interested in a hand-crafted amplifier then it's important to understand who is making that amp, how and why. You may want to fast-forward to the "Products" or "Why a Club Amp" pages then come back to read this section if you're interested in having an amp built for you. Club Amps is not a large corporation with a huge staff and a production line cranking out hundreds of amps each day. We build each amp to order, one-at-a-time by hand. I'm an electronics professional (design, marketing and manufacturing) who's been building guitar amps for over 50 year; amps built to last long and to make talented musicians sound great. Our objective is to help each guitar professional create a sound that's really "right" for them. Check the "Why a Club Amp?" page and I'll explain more of what I mean. My first "custom" vacuum tube guitar amp dates back to 1966. I was still in high school. I'd been playing a Gibson Les Paul gold-top with P-90s through a small Ampeg. I wanted more power. That first custom amp was straight out of the RCA Tube Manual, a 50W class AB beauty. It used 7027A output tubes (not common to guitar amps though Trayner, Ampeg and a few others have used them). It was a very good amp. With the help of the best custom builder I could find in Portland, Oregon I was off to a great start. I learned the importance of good materials, good layout and good workmanship. The transformers specified by RCA were really top-notch. In the years since that first amp I learned that "off-the-shelf" transformers just aren't what they used to be. I also learned that it takes time, patience and attention to detail to build a great amp by hand. That first amp was a thing of beauty. I regret that I sold it to help pay for my final year of college. I wish I could show it to you now. I do still have the 2 x 15 cab that I built to use with that first amp. 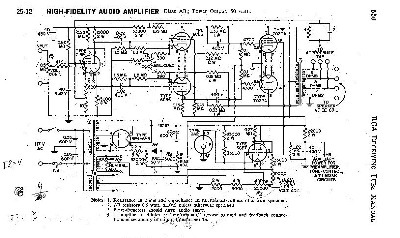 In 1967 I was off to engineering school at Oregon State University to become the next Leo Fender or Con Sundholm (founder of Sunn Amplifiers, an Oregon product). Little did I know that OSU had just discontinued it's last vacuum tube design class. Semiconductors had become "the thing". So, I studied semiconductor design and physics and headed off to Silicon Valley when I graduated OSU. That may sound like a bad thing to those of you who are vacuum tube purists, but it had it's benefits. I spent much of my semiconductor career working on products intended for application in space (I still do). In the early 90s I founded a semiconductor company that specialized in RF (radio frequency) and space flight integrated circuits. Quality and reliability are critical for space flight. I've applied what I've learned about quality and reliability to everything I do. And, I didn't stop building guitar amps just because my "day job" was semiconductors (I have to admit that some of the amps I've built weren't with vacuum tubes). Music and guitar amps are a passion that burns in my soul. I've continued to build custom amps for local musicians over the years. At Club Amps we insist on quality materials. We burn-in and test tubes to our own criteria and each amp gets a power burn-in before shipment to make certain they are stable and reliable. With a Club Amp you get a design that's time tested and proven. You benefit from all of my experience. Everything we do at Club Amps is conservative. To the left you can see one of our 20W output transformers (the larger one) next to the output transformer of a 50W Peavey amplifier. We mean no disrespect to the accomplished folks at Peavey. This Peavey amp puts out 50W as promised. But, I hope you can imagine how our 20W output transformer can have a really big bottom end. Not just loud, but spectacular. Your Club "Classic Series" Amp will be hand-wired with a 1/8" thick G10 eyelet board, 1W resistors and silver plated teflon insulated high voltage wire. I honestly believe that a quality printed circuit board is fine (and much less expensive). The problem with most PCBs is that they are designed to be as cheap as possible and don't hold up well to being reworked. But, the history of "classic" vacuum tube amps is that they last for decades and sometimes they do get reworked. At the very least power supply caps need to be replaced over the decades. The hand-wired eyelet board has proven effective over the years. That's why we use it. Club Amps is small. Your amp will get my personal attention. We build amps that are conservative, strong, and reliable. We build amps tailored to the musical style of the customer. We build amps that should last a lifetime with proper care.